Dr. Dan Gehlbach Designed a Fertility Practice with YOU in mind. At Midwest Reproductive Center, PA (MRC), we understand that trying to conceive, only to read one more negative pregnancy test, can devastate a couple. A visit to our Olathe fertility center will point you toward a hopeful new beginning, surrounded by a caring team dedicated to advanced, personalized healthcare. We’ve created a niche for ourselves among Kansas fertility centers. Couples trying to get pregnant benefit from focused attention, affordable fertility care and a conservative treatment protocol that never sacrifices results. Yes, success rates drive us. But it’s empathy and common sense that defines us. Our IVF pregnancy rates rival those of world-class fertility centers, but we won’t always point you toward advanced treatments. 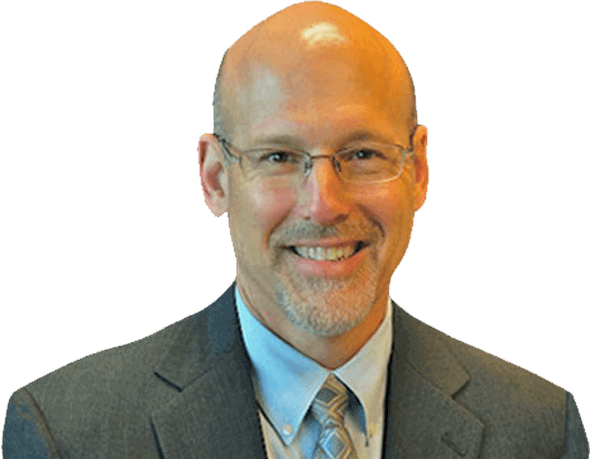 Dr. Dan Gehlbach, board certified as a Reproductive Endocrinologist, believes in starting with the least invasive treatment to achieve a pregnancy. If a thorough diagnostic evaluation indicates IVF as the ideal fertility treatment, know that we report exemplary success rates and provide treatment right here in our comfortable, state-of the-art fertility center. You want an accomplished doctor and surgeon with stellar credentials: West Point, KU, Johns Hopkins. More importantly, couples hoping to get pregnant need to feel heard. Valued. Invested in. Dr. Gehlbach combines compassionate care with advanced treatment for male and female infertility patients in hometowns from Overland Park and Olathe to Kansas City. Call us now for a fresh start in your fertility journey. Dr. Dan Gehlbach talks about some of the new technology for fertility care presented at the annual conference of the American Society of Reproductive Medicine. Such a great team... very knowledgeable and listen to my wants also! That place makes miracles come true. At Midwest Reproductive Center, we see how egg donation changes lives. Not only for couples that can’t get pregnant on their own, but for the special women who selflessly serve as egg donors. For couples struggling with infertility, IVF, or in vitro fertilization, restores their hope. Midwest Reproductive Center understands that choosing the right fertility treatment option can be overwhelming. Freezing eggs has opened a whole new world for couples and individuals who dream of becoming parents. An experienced fertility surgeon, a renowned reproductive endocrinologist and a native of Kansas City. When you’re facing barriers to conception, you want an accomplished fertility specialist with stellar credentials. You also want a partner in your care who is truly invested in your success. Dr. Gehlbach has degrees from West Point and the University of Kansas, and he completed his fellowship in Reproductive Endocrinology and Infertility at Johns Hopkins Hospital. He also believes that each patient is a unique individual who deserves support during the difficult journey of infertility. He created our Kansas City fertility center to be a beacon of hope for patients struggling with male and female infertility. Hopeful parents from Overland Park, Olathe, Kansas City and beyond can find compassionate care combined with advanced fertility treatments. Contact us to learn more and schedule a consultation with Dr. Gehlbach. Your journey to bring home a baby begins now. Dr. Gehlbach can help you overcome infertility and bring home a baby of your own. Dr. Gehlbach – Thank you and your staff for everything that you did to make these two miracles possible!! We have truly been blessed!! We continue to count you and your staff among our blessings in helping us become a family! The MWRC staff's expertise and guidance were monumental in helping us through our infertility journey. They helped us navigate through tough losses and great victories without missing a beat. A big thank you goes out to Dr. Gehlbach and his staff for such wonderful care, and most importantly, for our little Christmas miracle coming this year! Minimally invasive and robotic surgery can restore fertility.